Many of us have seen the “Back to the Future” trilogy, a movie based on a teenager and scientist going back in time (and even to the future) in a car. The time machine that is used to transport these main characters is the now famous DeLorean, known for its futuristic two-door design and ability to fly. For many years, the DeLorean has been the subject of transportation design for the future, but this might soon change in the coming years. 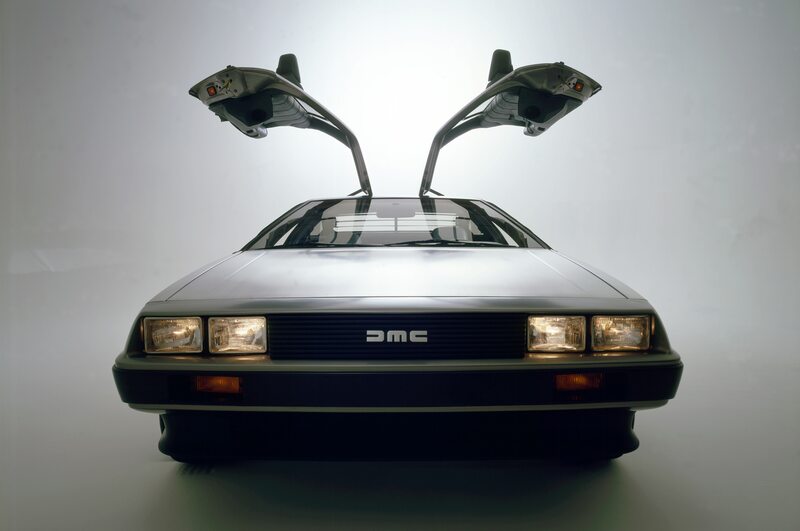 Yes, you read it correctly; the DeLorean will soon have the ability to fly in the coming years. What was once a futuristic concept in a 1980s movie will soon be a reality. The project for a flying DeLorean has recently been revamped by Paul DeLorean, the nephew of the founder of the DeLorean Motor Company. The latter DeLorean with his aerospace company is attempting to have the DeLorean flying in our streets within the next decade. Even though the goal is not to duplicate the many scenes of Back to the Future where the vehicle hits a certain speed and travels through time, the company is attempting to have the vehicle take off and land in a vertical manner. Furthermore, a prototype is already in the works and is schedule to be ready before 2019. So far the goal is for the aircraft to travel 120 miles before needing to recharge, which is a longer distance than similar competitors. Even though the prospect of a flying vehicle is an exciting idea, there are those who might wonder about the dangers that a car accident might occur. People might worry about what would happen if the flying vehicle hits another flying vehicle, whether or not there will be some type of emergency mode that can be engaged, and how a flying vehicle will respond if it runs out of charge. The important thing to keep in mind is that before flying cars of any kind enter the market, there will have to go through thorough federal regulations that ensure that the vehicle are ready for the air. These include tests that cover the flying vehicle’s emergency mode, escape processes, and impact reliability. In essence, people should not be worried about the dangers of a flying vehicle to an abnormal level. As has been the case with new technology throughout the decades - such as with cell phones, laptops, and so on - safety is the number one concern for manufacturers and the government alike. In any case, personal injury law will be updated to protect the injured victims of flying car accidents, and insurance companies will have to pay if their driver/pilot was at-fault. This and other laws (similar to current personal injury laws) will be available for the service of injured victims. Therefore, with federal regulations, constant research and development, and the update of personal injury laws, there is little to worry when it comes down to flying vehicles. At the end of the day, we must not worry about what lies ahead and live every day, one day at a time.